Great People. Great Clients. Great Careers. Winckworth Sherwood truly believes in hiring great people, giving them the opportunity to reach their full potential and ultimately deliver a great client experience. So what does this mean in practice? We take the time to listen to our clients, constantly seeking opportunities to improve our service. We recruit people who share this vision. The firm prides itself on looking after its employees and nurturing talent. Testament to this is the fact that many of our people, both in legal and support roles, have been with us for ten, twenty or even thirty years. We recognise that people play a key part in our success and as a result we are committed to their development and well-being. We actively encourage a healthy work-life balance and flexibility, keeping our people motivated and stimulated to deliver great things. We think our location gives the firm a different feel to many others you’ll find on the opposite side of the Thames. Overlooking the City of London from the south bank, we are situated in the midst of Borough Market and London Bridge; an exciting, vibrant location to work in, reflecting the culture of our firm. 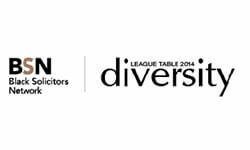 Winckworth Sherwood is an equal opportunities employer and we embrace diversity. We welcome applications from a wide range of qualified candidates and vacancies are open and accessible to everyone on the basis of their individual qualities and personal merit. Our recruitment process and selection criteria do not discriminate on the grounds of disability; gender; marital status; age, race; racial group; colour; ethnic or national origin; nationality; religion or belief; or sexual orientation; other than in those instances where the firm is exercising permitted positive action. Wouldn’t you prefer to train at a firm where you’re valued as an individual, instead of another face in a large intake of trainees?